To design the Request ID formula form control for the Create Absence Request eForm, do the procedure in this topic. (Example) Configure the Total Hours Requested Formula Control for the Create Absence Request eForm. On the Form Control Quick Menu, click Formula . 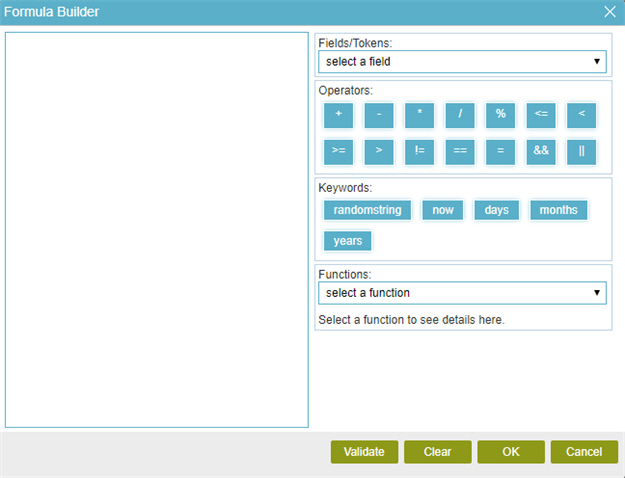 The Formula Builder screen shows. To make sure the formula is correct, click Validate. 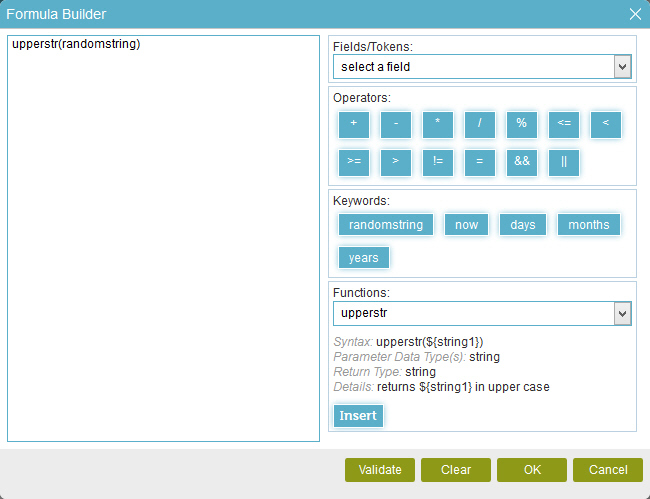 The eForm Builder shows the RequestID_FormulaField formula field for the Create Absence Request eForm.